One of the easiest ways to support conservation is to only use sustainable palm oil. 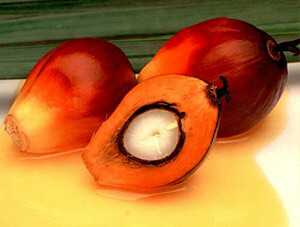 Palm oil is an economically important product for much of Southeast Asia. It has one of the highest yields per acre of any oil crop and is used in many different foods and personal hygiene products, like ice cream, chocolate, soap, and shampoos. 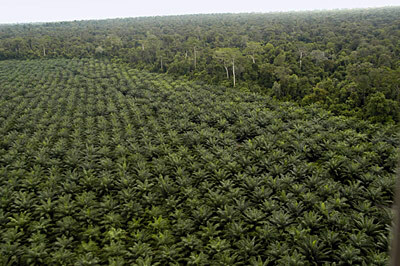 Plantations employ thousands of people and many are directly or indirectly dependent on palm oil for their livelihoods. However, these benefits come at a cost. The expansion of plantations often requires companies to clear large section of rainforest, which displaces animals and fragments populations of endangered species. Furthermore, some plantations do not monitor their workers' activities, which may allow poachers free access to populations of rare and endangered animals. So, while palm oil is an indispensable product and reliable cash crop, responsible management is very important and should be widely encouraged. The Roundtable of Sustainable Palm Oil is a group of people, nonprofits, and companies who have pledged to use only responsible, sustainable oils that do not harm the environment or people. Read the ingredients list on your products and look for the RSPO logo in order to find items with sustainable palm oil. You can also find a list of US companies that are part of the RSPO here with links to other countries' companies; all their products use or will soon use sustainable palm oil. You can also check out the Point Defiance Zoo & Aquarium's palm oil page for more information and sustainable palm oil shopping guides.